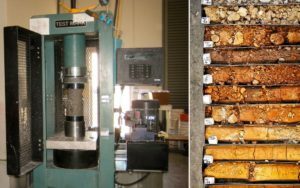 Geotechnical, Inspection and Materials Testing – Resource Concepts, Inc.
RCI provides geological and geotechnical engineering services, and materials inspection and testing services to our private and public sector clients in northern California and Nevada. Complimenting these services is our accredited American Association of State Highway Transportation Officials (AASHTO) materials testing laboratory for soils, aggregates and asphalt, with additional capabilities in masonry and concrete. Our geotechnical engineering services include: feasibility studies, foundation investigations, seismic/liquefaction analysis, slope stability analysis, pavement design, drainage/seepage/infiltration studies, soil improvement/stabilization, geotechnical instrumentation and field permeability testing. Our geologic services include: geologic hazard reconnaissance, hydrogeological investigations, landslide evaluations, fault investigations, seismic refraction/rock rippability, economic mineral resource evaluations, and geophysical surveys. Field testing and inspection services include: soil compaction testing, structural concrete/masonry inspection, structural steel, fireproofing, asphalt paving inspection, drilled pier/driven pile inspection, and tieback inspection and testing. Our laboratory personnel are certified in the Nevada Alliance for Quality Testing in Construction (NAQTC), under the AASHTO approved quality control plan. 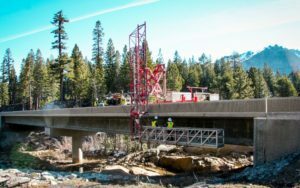 Our investigations in the northern Nevada and eastern California areas include roads and highways, railroads, airports, bridges, hospitals, open pit mining, general commercial and light industrial buildings, subdivisions and all aspects of public works infrastructure projects. 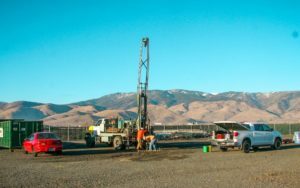 Our staff has extensive experience with rotary, auger and core drilling, dynamic cone penetrometer soundings, and geophysical investigations. 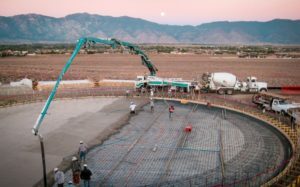 Our expertise includes shallow and deep foundations, retaining walls, reinforced earth walls, geologic hazard identification and mitigations, geologic mapping and environmental geology. Soils, foundations and geotechnical applications, special grading, excavations and embankments, pilings, drilled piers, retaining walls, earth reinforcement, soil nailing, anchors and tie-backs, geogrids and geotextiles.